The past few months have been a whirlwind for the Snag-A-Slip team, filled with wonderful new partnerships, the re-launch of our website, the release of our Apps and now the addition of Marinalife. With all of these amazing new ventures setting sail for Snag-A-Slip, I can’t help but reminisce on our humble beginnings. We used to work out of Dan’s basement. We had a big table, 4 strong chairs and 1 broken chair which definitely suckered someone every day. I do have to say, however, that the snacks in Dan’s basement were on point! Oh, how we’ve moved up in the world. Change is always a difficult sell, especially in an industry that hadn’t yet seen a service like ours. It took some convincing on my part to get marina operators to consider Snag-A-Slip as an alternative reservation service! 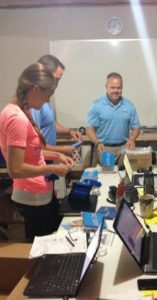 After much prep and practice, I hit the ground running all around the Chesapeake Bay for potential partners to join the Snag team. I proudly signed Snag-A-Slips very first partner marina, Port Annapolis Marina despite being a complete nervous nelly. Why so nervous? Well, we hadn’t launched our website yet. The Spring before we launched, I was pitching the idea using a PowerPoint Presentation that showed what our site was going to look like. In hindsight, I most likely would’ve chuckled a bit if I was the marina operator. However, it turned out to be my first great sales success and I owe a huge ‘thank you’ to Port Annapolis Marina for understanding the concept and believing in Snag-A-Slip from the start! 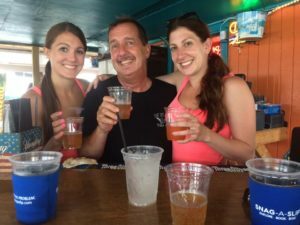 Deano Bombs at The Big Owl Tiki Bar! 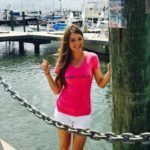 With more confidence and some fresh Snag Swag, I continued on my trek for other amazing marinas to partner with around the Chesapeake. Within the first few months of my travels, I found nine more beautiful marinas on the Bay willing to take a chance with us. Thus, our “First 10” was established. 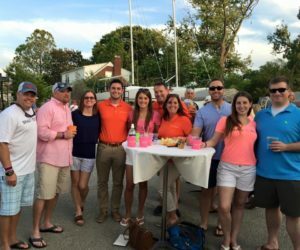 Thank you, Chesapeake Harbour Marina, Podickory Point Yacht Club, Wells Cove Marina, Annapolis Maryland Capital Yacht Club, Herrington Harbour South, Annapolis City Marina, Shipwright Harbor Marina, St. Michaels Marina and the Hyatt Regency Chesapeake Bay River Marsh Marina. We are forever grateful for your confidence in us. After the 10th close, we created the tradition of visiting The Big Owl Bar Tiki Bar to celebrate big wins and milestones. You can still find us hanging out with the amazing bartender, Dean, throwing back a few of our favorite Deano bombs. Snag-A-Slip’s first 10 marinas were some of the hardest to sign, and they remain a favorite story for us to tell. We learned many lessons, both good and bad, and they will forever be a huge part of our history. To date, these are still some of the best partnerships and friendships we have! These days we are expanding rapidly, exploring new markets, meeting new friends and signing up amazing marinas from Canada to the Caribbean. 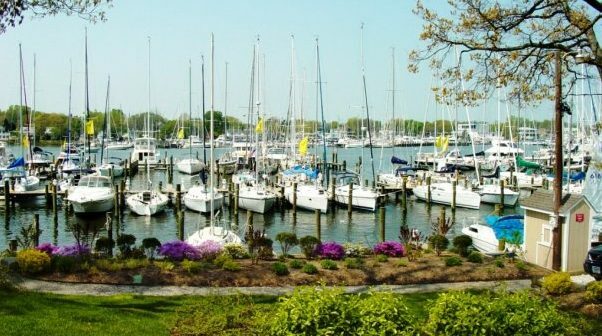 But, for me there will always be a special place for our first partner marinas in the Chesapeake Bay. Much love to all of you!